No outfit is perfect without the must-have accessory: a stylish, uber-hot BAG! 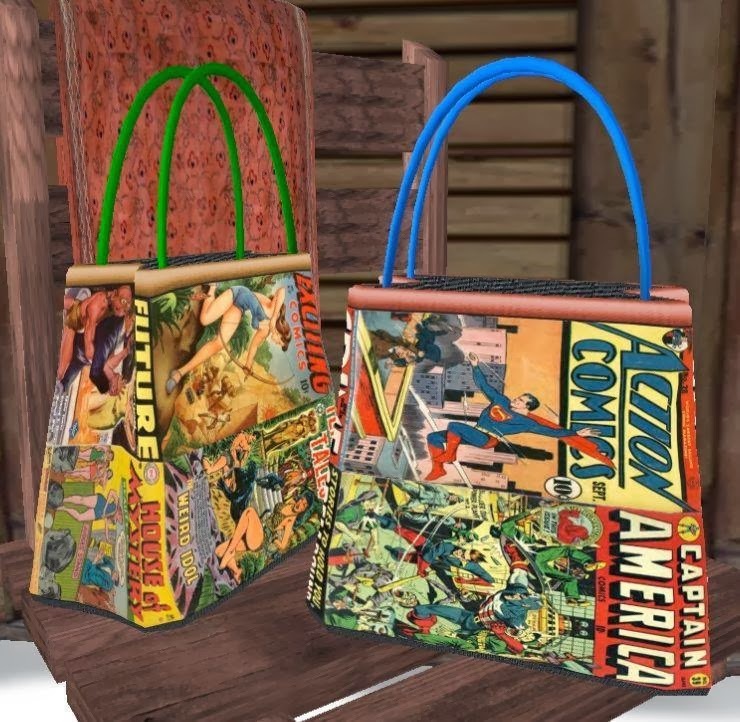 Earth Nirvana-Charisma knows this, which is why she has created the Bag It! Pack It! Clutch It! Mini Hunt. The mini hunt runs from February 2 to February 23, and with the theme "bags," you can expect to find great products like purses, clutches, backpacks, hobos, duffel bags, satchels, and totes! Twenty talented vendors join together to bring you hot arm candy...literally... all for only $6L each. You can learn more about the hunt by checking out Nirvana-Charisma's blog, Nirvana Projects, but for now, check out some of the wonderful treats up for grabs, photos provided by blogger and photographer Gloria Silverstone! Definitely run and check out the Bag It! Pack It! Clutch It! Mini Hunt as Nirvana-Charisma will be taking a break from creating hunts after this event to prepare her line of whimsical tails! Start on your bagging adventure NOW!